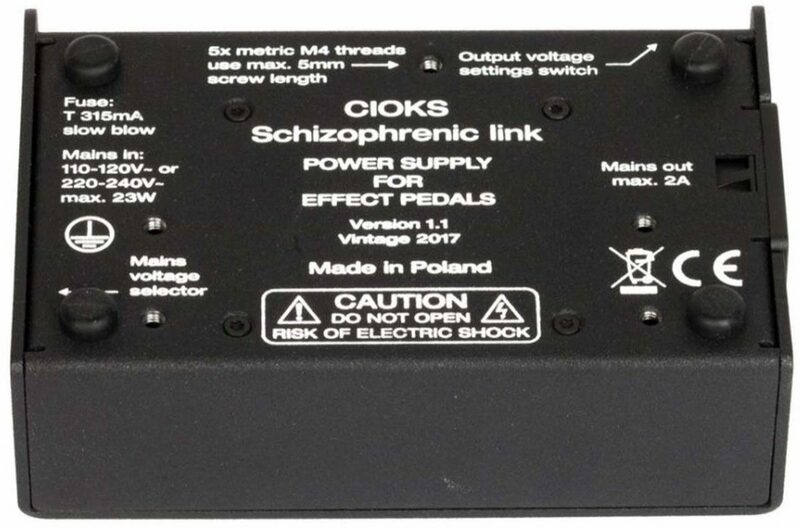 Cioks Schizophrenic link is a compact power supply for effect pedals with a versatility usually not seen in such a small unit. 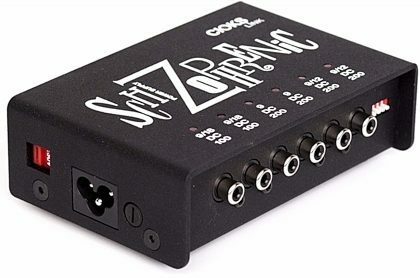 It has 6 isolated outlets and offers multiple voltages (9V, 12V, and 18V) with no need of special Flex cables. 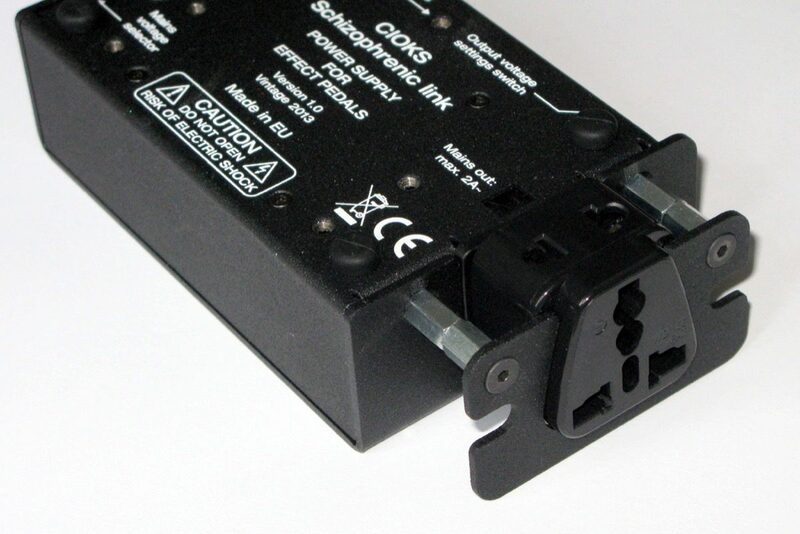 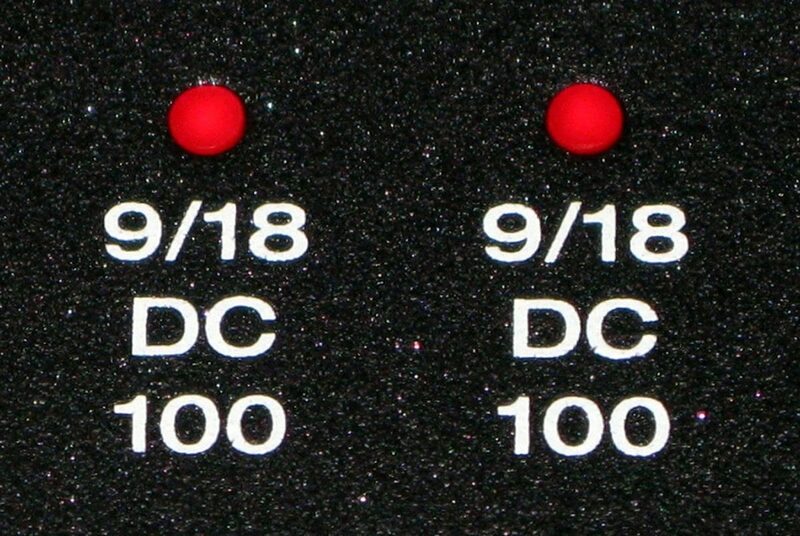 The first two outlets can be set to 18V, where the last two are configurable to 12V. 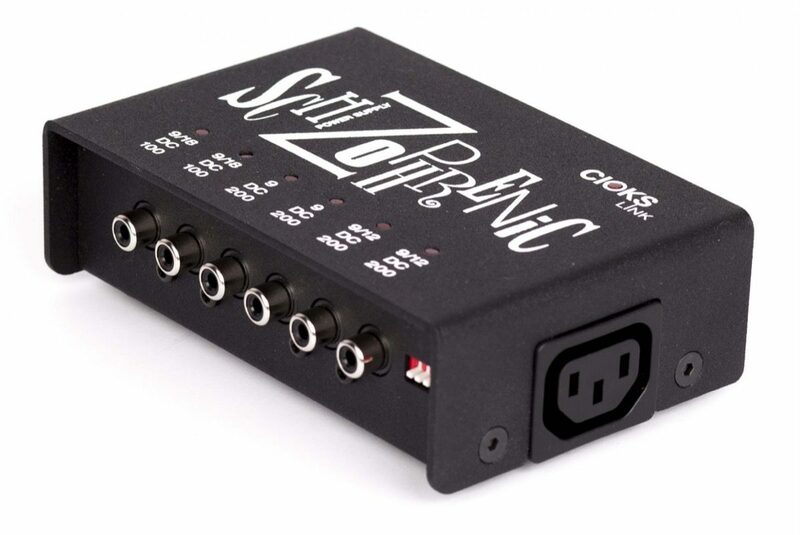 If needed, all 6 outlets will give you 9V DC in the default position of the settings switch with a total max output current of 1,000 mA.